IVP Designer is developed in close cooperation between IV Produkt AB and Elecosoft. IVP is one of the leading manufacturer of energy efficient and environmentally friendly air handling units. 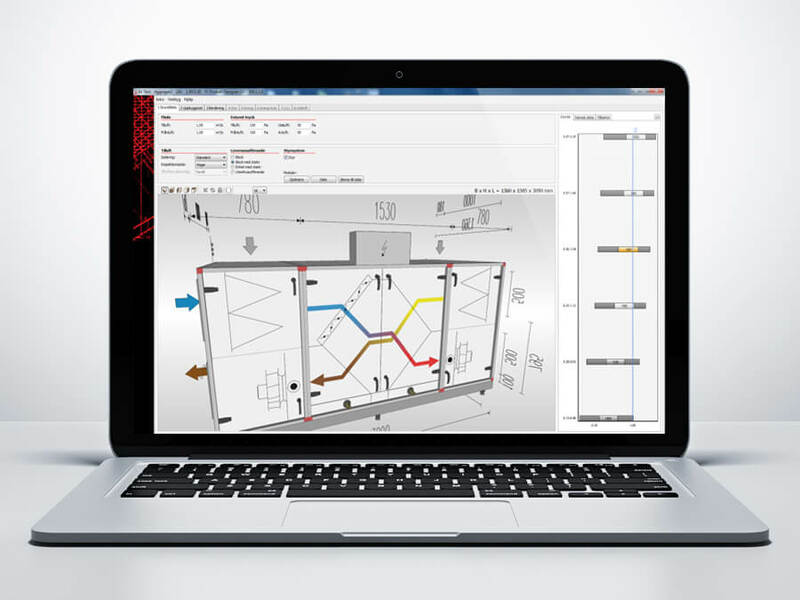 Elecosoft ByggProgram AB has, in close cooperation with the IV Produkt AB developed the company’s product selection tool IVP Designer, where the user can design and dimensioning one or several air handling units. The program generates dimensioned assembly drawings that can be viewed three-dimensionally in different views. Today, Elecosoft works continuously with IVP Designer to deliver new versions, updates and maintenance that reflects the changes IV Products make in their assemblies and products. Business: Manufacturer of energy efficient and environmentally friendly air handling units. Elecosoft service that are being used: Software development.